For all of you ReAction Figure fanatics! 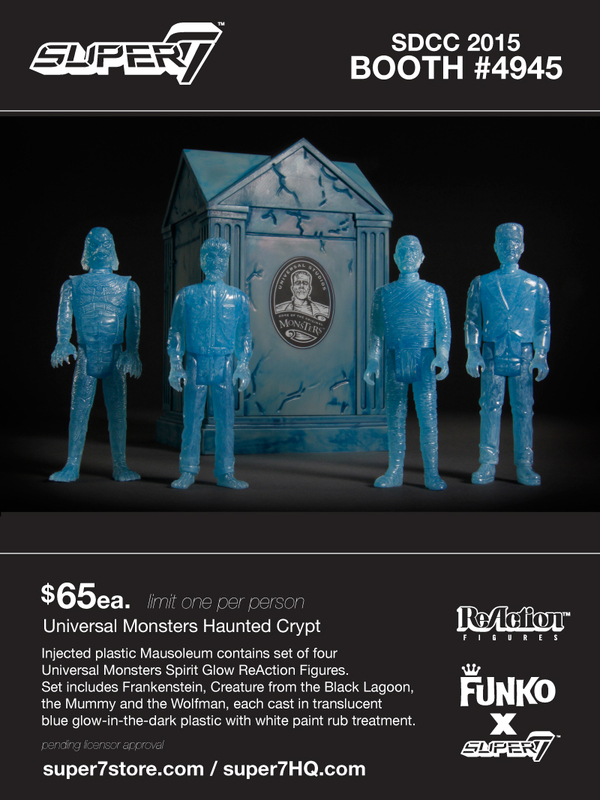 We will be releasing the Universal Monsters Haunted Crypt Set at our Booth #4945. The Injected plastic Mausoleum comes with a special set of SDCC Exclusive “Spirit Glow” Universal Monster figures from our ReAction line with Funko. The set includes Frankenstein, Creature from the Black Lagoon, The Mummy and Wolfman. The Haunted Crypt will retail $65 and is limited to one set per person .